Check out U.S. Department of Agriculture, Natural Resource Conservation Service’s Colorado Water Supply Outlook Report HERE. 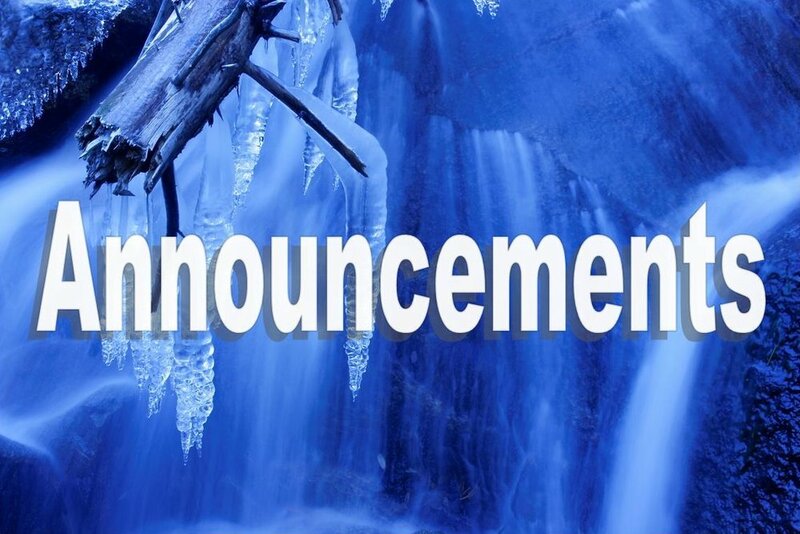 March 19th, 2019: A Joint Water Availability and Flood Task Force meeting will be held from 9:00 a.m.-12:00 p.m. at the Colorado Parks & Wildlife Headquarters, 6060 Broadway, Denver, in the Bighorn Room. In the event you are unable to attend the meeting in person, please join them remotely. Space may be limited. Visit the CWCB website HERE. MARCH 20th, 2019: Forest Health Task Force Meeting. 12:00 p.m. - 1:30 p.m. Summit County Commons, Mount Royal Room, Frisco, Colorado. Visit the Forest Health Task Force website HERE. March 21st, 2019: Permit Loser’s Pot Luck with Down River Equipment in Wheat Ridge, CO. The idea is to gather the boating community, their staff, and Ambassadors to discuss some non-permitted river sections. They will be talking about day runs and multi-day floats as well as whitewater runs and more family oriented sections. To make this event fun and more community inclusive, it will also be a Pot Luck. See more details HERE. MARCH 21st, 2019: The Human Element at The Arts Campus at Willitsm, Basalt, Colorado 81621 The Community Office for Resource Efficiency (CORE) and The Arts Center at Willits co-present The Human Element, a film screening and conversation with Emmy Award-winning explorer and photographer James Balog. For 40 years, Balog has broken new conceptual and artistic ground on one of the most important issues of our era: human modification of nature. His new film is an innovative and visually stunning look at how humanity interacts with earth, air, fire and water. This event is FREE and open to the public. Please sign up by emailing alohr@tacaw.org, to reserve your seat in advance! This program is sponsored by the Town of Basalt. View the movie trailer HERE. MARCH 22nd, 2019: World Water Day 2019. The UN’s theme this year is ‘Leaving no one behind.’ This is an adaptation of the central promise of the 2030 Agenda for Sustainable Development: as sustainable development progresses, everyone must benefit. To spread the word and get involved, click HERE. See March 27th below for Colorado Water Center’s celebratory event. In celebration of World Water Day, the Colorado Water Center, in partnership with the Environmental Justice Working Group and the Student Sustainability Center, is hosting a special screening of the award-winning National Geographic documentary, Water and Power: A California Heist. All proceeds will benefit Trees, Water & People. Tickets are $15 for regular admission and $10 for students (ID required). Advance tickets are $13.50, and $8.50 for students. Buy tickets HERE. MARCH 27th, 2019: Western Slope Conservation Center’s Annual Meeting - Being a Beneficial Species. 6:00-8:00 p.m. at Edesia Community Kitchen in Paonia. They will provide pizza and salads, and have beer & wine available for purchase. Bring your thoughts and ideas for lively, facilitated discussion! Find the annual meeting details HERE. Colorado Water Trust has released it ANNUAL REPORT. Check out their biggest project ever which will protect endangered fish HERE! Do you need to update, develop, or implement your Storm Water Pollution Prevention Plan (SWP3)? The EPA’s Extremely Hazardous Substances (EHS) Team has developed hundreds of SWP3s and can ensure timely delivery of your SWP3. In additon, they can also manage your storm water inspection program to ensure that your projects are always in compliance. Contact JKelley@EPAalliance.com. Lower Blue Residents United now has a WEBSITE. Newsletter: The Flow of Trash Free Waters—The Trash Free Waters program distributes a newsletter with information on current activities, upcoming events, and project funding opportunities related to trash prevention and reduction at local, state, national, and international levels. The December 2018 issue can be found HERE and an archive of past issues can be found HERE. U.S. Congress signed the Water Infrastructure Improvement Act January 14th. It calls for “green infrastructure promotion” within the framework of Integrated Planning for stormwater permits. Stormwater Best Management Practices Performance Evaluation Document— The Interstate Technology and Regulatory Council (ITRC) recently announced a new technical-regulatory guidance document to offer guidance on post-construction best management practice (BMP) lifecycle processes including contracting, cost consideration, construction challenges, inspection checklists, quality control, and record drawings. Access and explore the resource HERE. Speak Out for Clean Water and Responsible Mining: The Colorado Senate will soon be taking up legislation to ensure that new mining activities in Colorado operate so as to protect our state's water quality. HB-1113, which passed the House earlier this month, is now on its way to the Senate for action and you can help by asking your Senator to vote "yes". For more information, visit Colorado Trout Unlimited’s website HERE. Western Resource Advocates teamed up with Pace University’s Land Use Law Center to develop a comprehensive Guidebook that provides land use planners with the resources necessary to fully integrate water efficiency into their land use planning efforts. A bill to make clean water in Colorado a priority passed the Rural Affairs and Agricultural committee and is headed to the House floor. The bill would end self-bonding for hardrock mines in Colorado and would explicitly include water quality protection. It would also require mining license applications to set an end date for the cleanup of their operation. Read more HERE.